Welcome to our new Visitation Pastor at Trinity, Pastor David Bottorff. 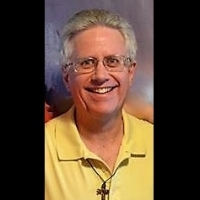 Pastor Bottorff was most recently the Senior Pastor at Saint John Lutheran Church in Darien, IL. He is in a retirement plan where he is working part time at St. John and will now also help Pastor Bob at Trinity. Pastor Bottorff will preach one weekend a month at Trinity and will visit some of our members at their homes or assisted living communities once a month. He will bring God’s Word and Sacrament with him during these visits. If you would like a visit from a pastor, please call the church office at 708-839-1200.